The Keiyo Industrial Zone represents a balanced structure of agriculture, industry and commerce: by monetary value, its agricultural output ranks third in the country, while the shipment of its manufactured products ranks seventh and annual sales of its products rank tenth. Chiba's seafront areas have grown into the world's top-level center for material/energy-type industries. 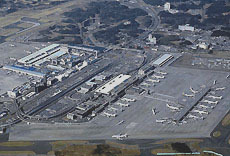 The areas are well equipped with industrial infrastructure, with a highway network linking them with the Narita International Airport, Japan's aviation gateway and largest presence for international air logistics. Makuhari New City, the venue of the G-20 Ministerial-Level Dialogue, accommodates facilities for international conventions and also serves as a business base housing the headquarters of a number of major listed companies. Chiba is also fertile ground for venture firms jointly created by industry, government and academic bodies. 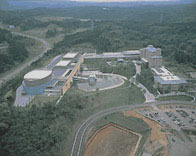 The prefecture houses Kazusa DNA Research Institute in its central area, as well as research basis of the University of Tokyo and Chiba University in its northwestern areas.